This large Victorian 6 " x 6 "tile is transfer printed in brown against a creamy white earthenware background showing great detail and good contrast. 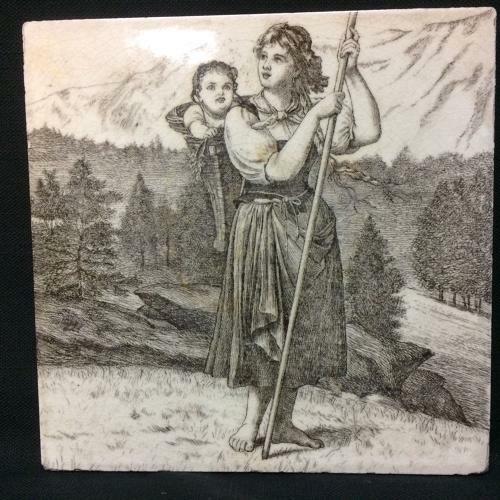 The tile is from the Country Life series showing a woman with child in a basket overseeing her flock. Never Used and in great Condition with light rubbing to the edges.